After seven years in the kitchen and many extraordinary events, Kellan has become more than a chef, he's cooking up experiences. From small intimate dinner parties, cooking lessons, and family meals to large corporate bar-b-ques, beer dinners, and holiday soirées, his business has it covered. He has also worked with major national brands, such as Blue Moon Brewing co, Redds Apple Ale, and Cameron Hughes Wine developing unique and flavorful recipes. Kellan prides himself on his skill with meats and weighty proteins. When introduced to Hay Mama Beef, there was no turning back to any other product - “It’s an absolute joy to cook with. No other beef can compare to the flavor or richness of Hay Mama.” Kellan has spent lots of time in Montana at the ranch where the cattle are raised. He has seen and experienced first hand the lush land they graze on and the care they receive. When cooking, Kellan aims to highlight and showcase the distinct flavors of the beef to reflect on his experiences at the ranch. 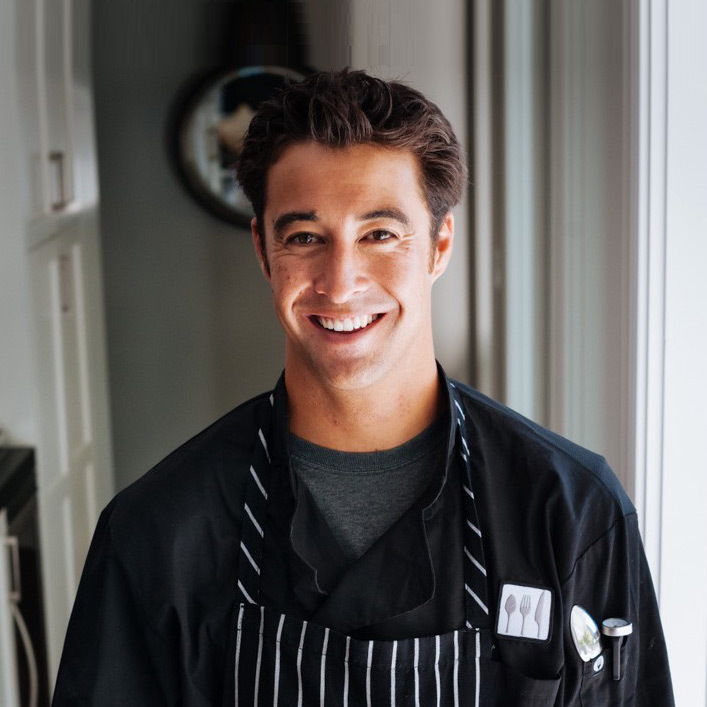 He is working with Hay Mama on developing signature recipes, utilizing each cut of beef.